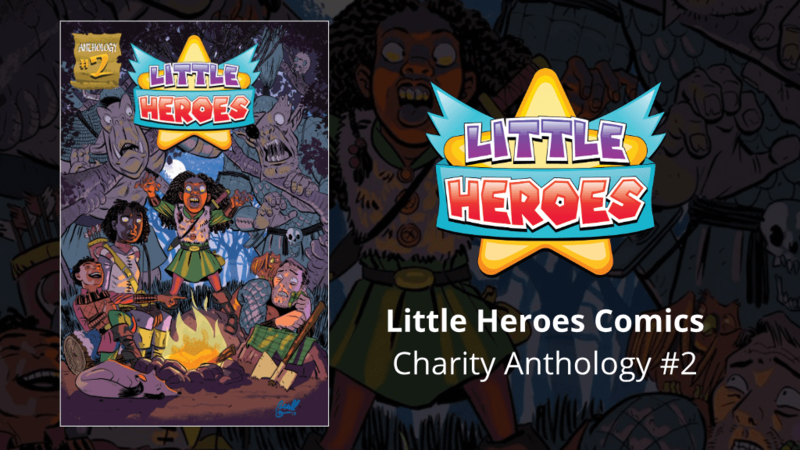 They now have a Kickstarter supporting their second anthology comic. 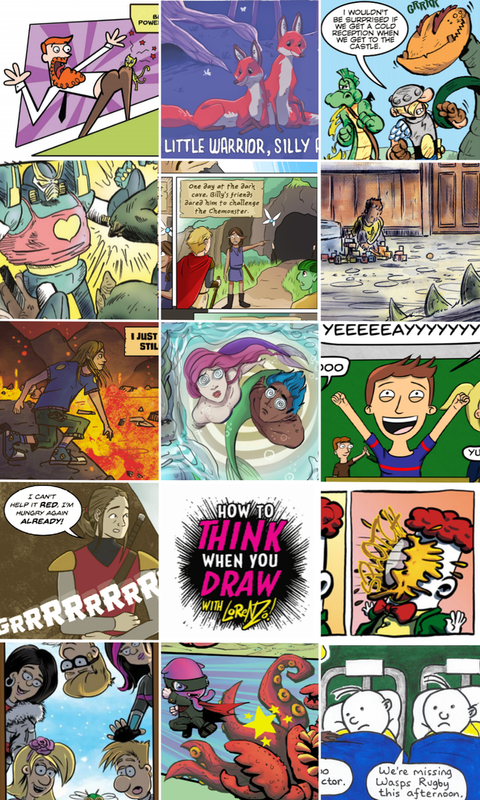 A worthy cause that I am happy to support – this charity creates comic making kits for children in hospital. In this anthology you get 51 pages – 13 stories, all about family. Gallant and Amos features a return to home after having an argument. Of course, there are other problems with getting home, and a nice pun at the beginning! Escape From Casa Kaiju has monsters fighting. This is something most parents can sympathise with. Supermom & Catdad – what to say? We all know a Supermom! Vampire Squid Boy goes underwater in a fun adventure with a sweet finish! Hot Lava Monster features an adventure I was playing with my son yesterday! Really nice to see Mandy The Monster Hunter – it fits in well here, and I’m a backer of the current series! The Cov Kids has a different family for two kids in hospital. Oh God is more literal than I thought! Family Fun has some funny clowning around! Late Knights has a good old fashioned family activity, working together! Nice to see some tutorials from Lorenzo too! The charity started in March 2017 when its founder Aaron Rackley wanted to give back to the hospital that helped him during his own time battling cancer in late 2013. He set up a JustGiving account and set a target of £1000 with a plan to create 100 comic making kits. The support and the feedback from not just the medical field but also the comic book community was so great that Aaron decided to form the charity officially and set out to fund funding to create more. To date we have sent over 700 kits to various sites across the country.